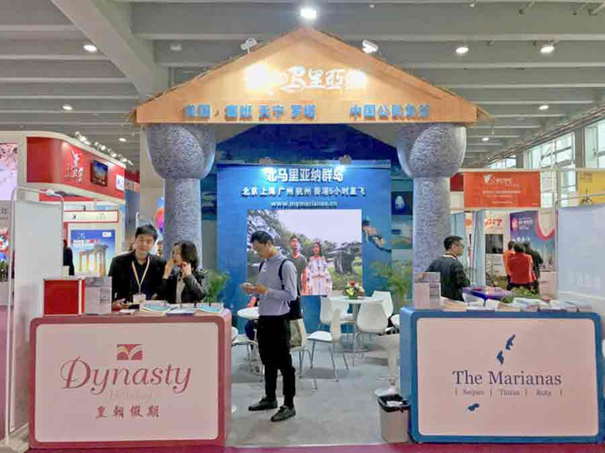 Last March, Century Travel Agency participated in the 2018 Guangzhou International Travel Fair along with the Marianas Visitors Authority (MVA) and other travel agencies as Dynasty Holiday and Shenzhen Professional International Service. The event was held last March 1-3, 2018 at the China Import & Export Fair Complex in Guangzhou and has drawn 37, 334 attendees and 1,029 exhibitors from 53 countries and regions. It also presented an opportunity for the MVA to launch in China ‘My Marianas’ and ‘Paradise for Everyone’ promotional slogans— inviting possible tourists to experience and delve into the unique picturesque of Saipan, Tinian and Rota. “The Most Popular Island Award” was given to the Marianas during the Travel Buyer Night on March 1—a testament that the island is worth a traveler’s next go-to destination. Century Travel is a full service travel agency and an accredited member of the International Airlines Travel Agent Network (IATAN) and the International Air Transport Association (IATA).